Our, all volunteer, Alumni Foundation mission is to assist students, teachers and staff achieve their goals and help maintain a positive school experience. In the past year, we have funded the mascot and its maintenance, helped buy or reach out for: specialty school supplies and trophies, bought headsets for the special needs students and a washer/dryer for them to learn life skills while helping the athletic department. We also donated to our Math, Music, Science and Athletics programs. We fund the yearbook entry fee to the San Diego County Fair and an outreach booth at the Rolando Street Fair. Crawford has an automotive shop program as well as other classes designed to hone students' future job skills. We grant a few nominal scholarships for students continuing to college or trade schools. We would like to continue to include our alumni and friends and local community. Please help us be a part of their success. 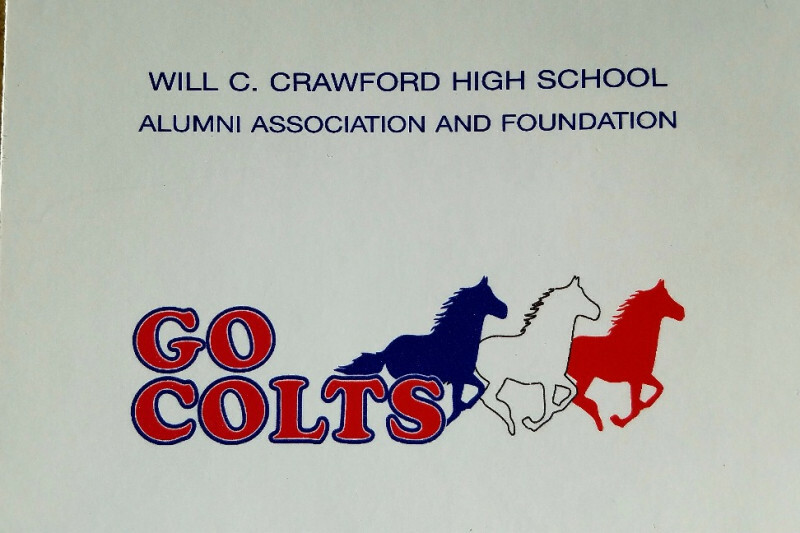 Consider setting up a scholarship in the name of a Colt or family member. Contact us. We'll make it happen. Thank you for your past support. We had some good news at Crawford in 2017 with our beautiful new stadium and successful sports teams. The alumni foundation focuses on small scholarships and assistance to the school in general. We would love to have your continued support. Thinking about end of year giving? We're here for Will C. Crawford high school. Hope you are too! Thank You! Class of '72, loved my time there, made life-long friends. Go COLTS! Terrie (Landis) DeBord Class of 1969 Go Colts!